• 26th January 2019 is National Australian Day. • Here is how sun-starved Brits can get the Aussie glow. • Follow these top tips to get the Australian tan, gleaming white teeth and radiant skin. Saturday 26th January is National Australian Day and with more than half of Australians celebrating, it is the perfect opportunity for us Brits to appreciate and celebrate the likes of the didgeridoo, outdoor BBQs and the Australian carefree and laidback attitude. With the UK expected to be coated in a layer of ice and snow by the merciless return of the Beast from the East we can only dream and yearn for the sun-kissed, golden sand coasts of Australia. So how can we get that Australian bronzed skin, gleaming white teeth and bright eyes whilst wrapped up in our winter coats and bobble hats? The simplest and healthiest way to get beautiful bronzed skin is to apply generous amounts of fake tan. Do take care however to avoid patchy and uneven results. It is essential before applying any product to exfoliate and moisturise the skin, especially hydrating naturally drier areas such as the elbows and knees as drier spots tend to absorb more colour and tanning product. Blasting your skin with cold water before application also helps to shrink pores and prevent pore blockage, creating a smooth and even colour. After application, enhance tan development and speed up drying time by using a hair dryer to set the tan. Sadly, your tan will inevitably fade, as areas such as the face have a rapid cell turnover , reducing the longevity of the product, discrepancies in colour between face and body are a tell-tale sign that your tan is not a natural one. Maximise the duration of your bronzed skin, by incorporating a small amount of fake tan into your moisturiser every morning. Get the optimum sparkling white Aussie smile by using White Glo, Australia’s number one-rated whitening toothpaste brand. 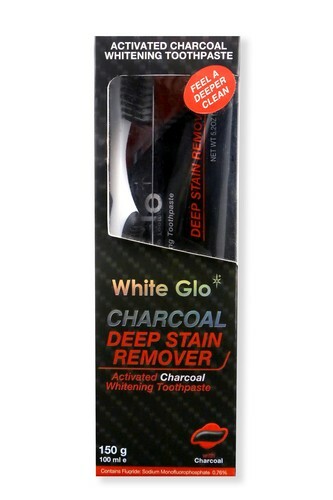 White Glo’s Charcoal Deep Stain Remover Toothpaste uses activated charcoal technology to draw out stubborn stains by trapping colour particles, banishing stains and detoxifying the mouth to reveal a gleaming white smile. What’s more, its low- abrasion formula protects cavities making it a safe and suitable treatment for everyday use. Complete your oral hygiene routine by using the free flosser toothbrush and dental flosser toothpicks available in every pack. Blast your skin with hydration by using a moisturiser that is rich in hyaluronic acid, an ingredient that can hold one hundred times its weight in water, which means an injection of hydration into every layer of the skin. Incorporating serums that contain a high concentration of anti- oxidants provides the skin with a strong defence against free radicals and stress, the main culprits of making our skin dull. Whilst adding drops of vitamin C underneath an SPF cream will even out skin tone, leaving beautifully natural, smooth and radiant skin. Integrate eye drops into your beauty routine to reduce redness and add moisture and to counteract any irritations. Tuck in to orange and yellow fruits and vegetables with a high concentration of Vitamin C, such as oranges and carrots – it prevents a buildup of debris in the eye, enhancing the whites of the eyes. For additional comment or imagery to accompany this release please contact Amy on amy@kincomms.com or call 02039587085. Samples are available for press. These include: White Glo Pure and Natural, Professional Choice, Smokers Formula, Charcoal Deep Stain Remover, Diamond Series, Coffee and Tea Remover Formula. This press release was distributed by ResponseSource Press Release Wire on behalf of Kin Communications2 in the following categories: Entertainment & Arts, Leisure & Hobbies, Women's Interest & Beauty, for more information visit https://pressreleasewire.responsesource.com/about.